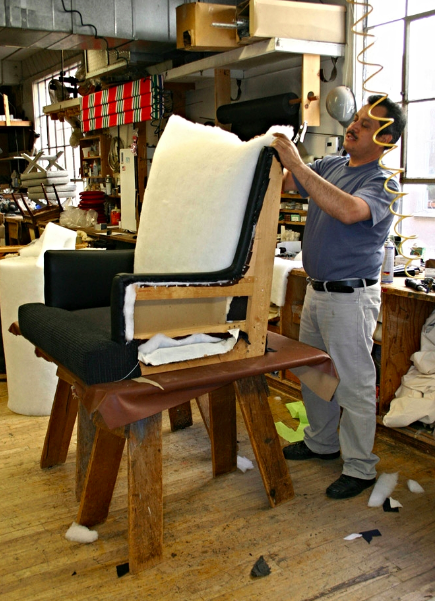 Whether it's a family heirloom or a treasured antique, or a well worn favorite, our experienced and trusted workroom partners are experts in reupholstery and furniture restoration. We seek true craftsmen of the Mainline that focus on high quality and pay meticulous attention to the details! Working with local upholsters allows us to visit the workrooms on site to promise our customers exceptional quality and satisfaction.